Popular historic sites such as Pyramids of Giza and Hanging Church (El Muallaqa, Sitt Mariam, St Mary) are in your itinerary. Step out of the city life by going to Safaris and Nile River. 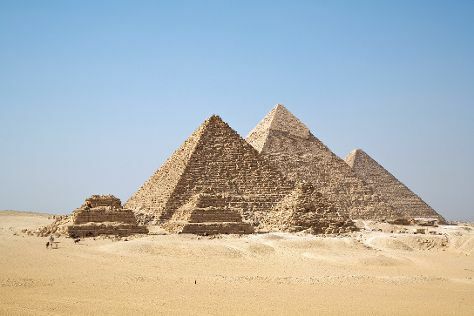 Take a break from Cairo with a short trip to Great Sphinx in Giza, about 34 minutes away. There's much more to do: examine the collection at Egyptian Antiquities Museum, contemplate the long history of Ben Ezra Synagogue, and take a stroll through Old City (Coptic Cairo). To see maps, where to stay, other places to visit, and more tourist information, you can read our Cairo trip planner. Sao Paulo, Brazil to Cairo is an approximately 21-hour flight. You can also do a combination of bus and flight. The time zone difference when traveling from Sao Paulo to Cairo is 5 hours. Expect warmer weather when traveling from Sao Paulo in June: highs in Cairo hover around 40°C, while lows dip to 26°C. Wrap up your sightseeing on the 30th (Tue) early enough to travel to Jerusalem. Visit Masada National Park and Mt of Olives for their historical value. Do some cultural sightseeing at Yad Vashem - The World Holocaust Remembrance Center and Masada Fortress. There's lots more to do: get engrossed in the history at Israel Museum, admire the striking features of Eglise du Saint-Sepulcre, see the interesting displays at Shrine of the Book, and identify plant and animal life at En Gedi Nature Reserve. Find out how to plan Jerusalem trip without stress by asking Inspirock to help create an itinerary. Traveling by flight from Cairo to Jerusalem takes 5 hours. Finish up your sightseeing early on the 3rd (Fri) so you can travel to Goreme. Step out of the city life by going to Goreme National Park and Balloon Rides. Your cultural itinerary includes sights like Goreme Acikhava Muzesi and Naile Art Gallery- Ebru Art Center. 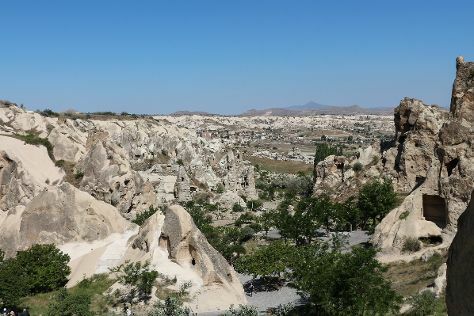 There's lots more to do: ride a horse along Cemal Ranch Horse Riding Center, stop by Cappadocia Dowry Carpet, learn about winemaking at Kocabag Winery, and get to know the fascinating history of Güvercinlik Vadisi (Pigeon Valley). To see more things to do, reviews, where to stay, and other tourist information, refer to the Goreme travel itinerary planner. Getting from Jerusalem to Goreme by flight takes about 8.5 hours. Other options: do a combination of flight and bus. Traveling from Jerusalem to Goreme, you'll lose 1 hour due to the time zone difference. In July, daily temperatures in Goreme can reach 37°C, while at night they dip to 18°C. Finish up your sightseeing early on the 6th (Mon) so you can catcht the bus to Ankara. Turkey's capital and second-largest city, Ankara supports a large population of foreign diplomats and young students, contributing to the city's international feel. On the 7th (Tue), admire the landmark architecture of Haci Bayram Mosque (Haci Bayram Camii), learn more about the world around you at Anadolu Medeniyetleri Muzesi, then contemplate the long history of Ankara Citadel (Hisar), then appreciate the extensive heritage of Hamamonu Restored Area, and finally get engrossed in the history at Ataturk Mausoleum. To find where to stay, ratings, photos, and other tourist information, read Ankara visit planner. You can take a bus from Goreme to Ankara in 3.5 hours. Another option is to drive. Traveling from Goreme in July, you will find days in Ankara are little chillier (31°C), and nights are a bit warmer (30°C). Cap off your sightseeing on the 7th (Tue) early enough to travel to Istanbul. Visit Basilica Cistern and Hagia Sophia Museum / Church (Ayasofya) for their historical value. You'll get in some beach time at Dalia Beach and Kisirkaya Plaji. The adventure continues: contemplate in the serene atmosphere at Sultan Ahmed Mosque, take in the architecture and atmosphere at Tur-i Sina Kilisesi (Balatkapi Ioannes Prodromos Metokhion Kilisesi), enjoy breathtaking views from Galata Tower, and get engrossed in the history at Topkapi Palace. For where to stay, reviews, and tourist information, read Istanbul online tour itinerary planner . Getting from Ankara to Istanbul by combination of bus and flight takes about 4.5 hours. Other options: drive; or do a combination of bus, flight, and shuttle. Traveling from Ankara in July, Istanbul is slightly colder at night with lows of 23°C. Wrap up your sightseeing on the 11th (Sat) to allow time to travel to Mykonos Town. You'll explore and learn at Aegean Maritime Museum and Archaeological Museum of Mykonos. Escape the urban bustle at Panormos Beach and Paradise Beach. There's lots more to do: wander the streets of Little Venice, enjoy the sand and surf at Super Paradise Beach, tour the pleasant surroundings at Ornos Beach, and make a trip to The Windmills (Kato Milli). To see other places to visit, maps, where to stay, and more tourist information, read our Mykonos Town attractions planner. You can do a combination of train and flight from Istanbul to Mykonos Town in 2.5 hours. Alternatively, you can do a combination of bus and ferry; or do a combination of car and ferry. The time zone difference moving from Eastern European Time (EET) to Eastern European Time (EET) is minus 1 hour. 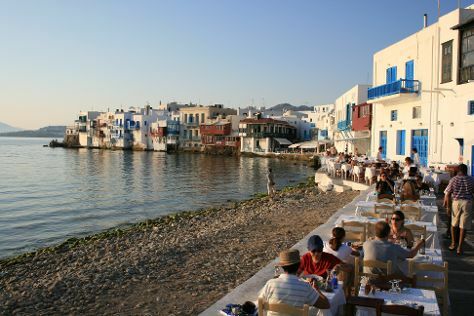 In July, daytime highs in Mykonos Town are 33°C, while nighttime lows are 26°C. Finish your sightseeing early on the 15th (Wed) so you can ride a ferry to Fira. Wine Museum Koutsogiannopoulos and Museum of Prehistoric Thera will appeal to museum buffs. Visit Red Beach and KAMARA BEACH for some beach relaxation. You'll find plenty of places to visit near Fira: Perissa Black Sand Beach (in Perissa) and Santo Horse Riding (in Akrotiri). And it doesn't end there: delve into the distant past at Akrotiri, contemplate the waterfront views at Amoudi Bay, trek along Hiking Trail Fira - Oia, and visit a coastal fixture at Akrotiri LightHouse. To find ratings, other places to visit, where to stay, and tourist information, read Fira day trip app . Traveling by ferry from Mykonos Town to Fira takes 2.5 hours. Alternatively, you can fly. In July, plan for daily highs up to 35°C, and evening lows to 27°C. Cap off your sightseeing on the 19th (Sun) early enough to catch the ferry to Heraklion. Start off your visit on the 20th (Mon): learn more about the world around you at The Natural History Museum of Crete, then get engrossed in the history at Heraklion Archaeological Museum, then stop by Irida Family Workshop, and finally explore the ancient world of The Palace of Knossos. Get ready for a full day of sightseeing on the 21st (Tue): look for all kinds of wild species at Reptisland, enjoy the sand and surf at Agia Pelagia Beach, then take an in-depth tour of Ιστορικό Μουσείο Κρήτης - Historical Museum of Crete, then pause for some serene contemplation at Church of Saint Titus, and finally browse the exhibits of Vasiliki Agios Markos Municipal Art Gallery. To find maps, more things to do, where to stay, and other tourist information, read Heraklion road trip planner . Ride a ferry from Fira to Heraklion in 2 hours. In July, daytime highs in Heraklion are 34°C, while nighttime lows are 26°C. Finish your sightseeing early on the 21st (Tue) to allow enough time to travel to Tsilivi. A growing favorite with international vacationers, Tsilivi sits on the northern coast of Zakynthos. You'll explore and learn at Aristeon Ecological Olive Press and Giatras Museum-Dionysios Art Gallery. We've included these beaches for you: Navagio Beach (Shipwreck Beach) and Laganas Beach. You'll find plenty of places to visit near Tsilivi: Keri Lighthouse (in Keri Village), Banana Beach (in Vasilikos) and Saint Nicholas Church (in Ano Vasilikos). There's still lots to do: take a tour by water with Boat Tours & Water Sports, stroll through Kalamaki Beach, look for gifts at Cinnabar, and step into the grandiose world of Bohali Castle. For ratings, reviews, maps, and more tourist information, use the Tsilivi online trip itinerary planner . You can do a combination of bus and flight from Heraklion to Tsilivi in 3.5 hours. Alternatively, you can do a combination of bus, flight, and ferry; or do a combination of shuttle, flight, and bus. When traveling from Heraklion in July, plan for a bit warmer days and slightly colder nights in Tsilivi: temperatures range from 38°C by day to 23°C at night. Finish up your sightseeing early on the 25th (Sat) so you can travel to Athens. 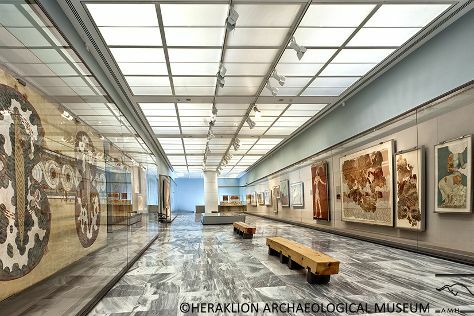 Satisfy your inner culture vulture at National Archaeological Museum and Plaka. You'll get in some beach time at Glyfada Beach and Voula Beach. 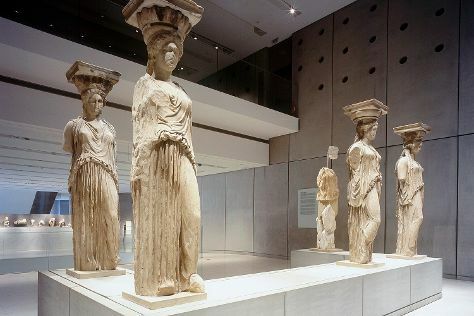 There's lots more to do: delve into the distant past at Acropolis of Athens, steep yourself in history at Areopagus, take in the spiritual surroundings of Temple of Hephaestus, and admire the masterpieces at Benaki Museum. To find more things to do, where to stay, other places to visit, and more tourist information, go to the Athens day trip website . You can do a combination of bus and flight from Tsilivi to Athens in 3.5 hours. Alternatively, you can take a bus; or do a combination of ferry and flight. Traveling from Tsilivi in July, Athens is somewhat warmer at night with lows of 28°C. Finish up your sightseeing early on the 29th (Wed) so you can travel to Paleokastritsa. Visiting Corfu Donkey Rescue and Paleokastritsa Beach will get you outdoors. Get some historical perspective at Old Fortress Corfu and Achilleion Museum. You'll find plenty of places to visit near Paleokastritsa: Corfu Town (Casa Parlante, Corfu Old Town, & more). Next up on the itinerary: admire the striking features of Corfu Museum of Asian Art, kick back and relax at La Grotta Beach, and do a tasting at Theotoky Estate. For traveler tips, where to stay, more things to do, and other tourist information, read our Paleokastritsa trip itinerary tool . Traveling by combination of flight and bus from Athens to Paleokastritsa takes 5 hours. Alternatively, you can do a combination of car and ferry; or take a bus. Traveling from Athens in July, Paleokastritsa is little chillier at night with lows of 24°C. Finish up your sightseeing early on the 1st (Sat) so you can travel back home.